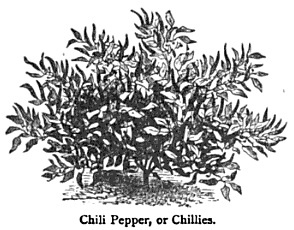 Livingston’s Seed Company in Columbus, Ohio, was one of the premier seed companies in the United States during the last half of the nineteenth century. 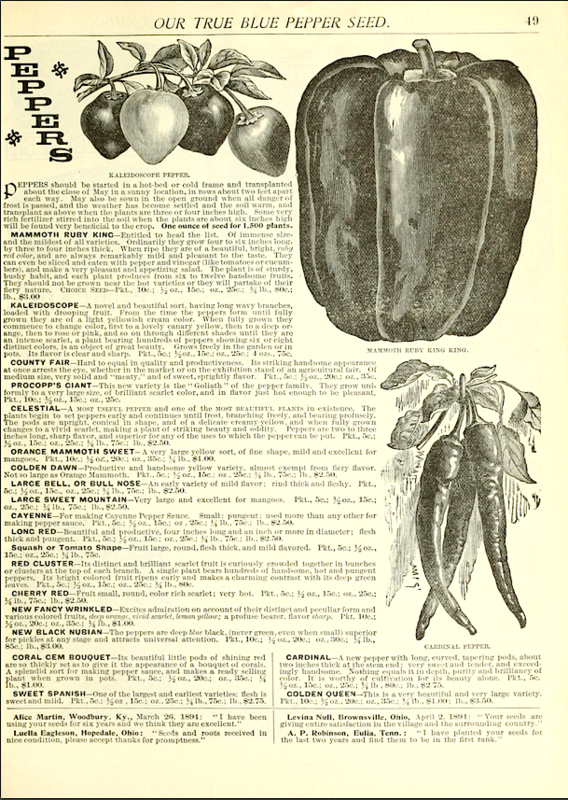 They developed many tomato varieties for farmers and home gardeners. 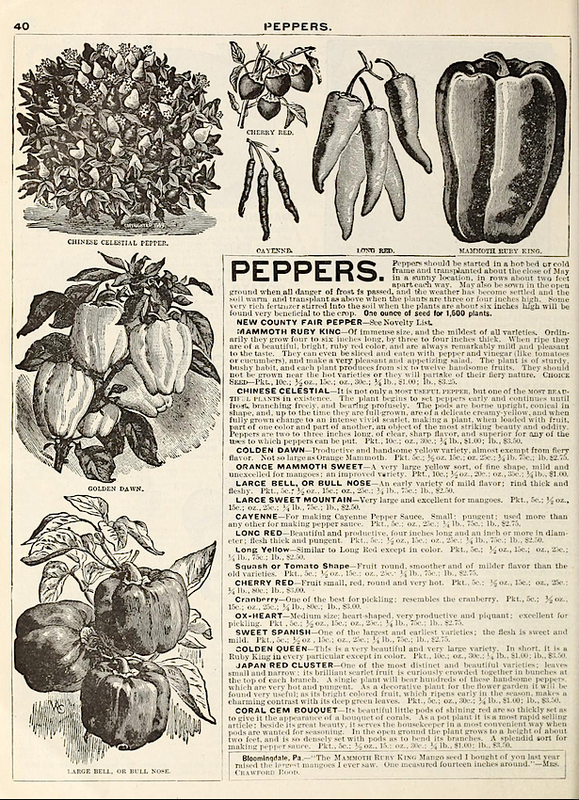 Here are their catalog pages on the seed of the Capsicum varieties they sold in 1893 and 1895.